Adventurous, atmospheric instrumental music featuring Mellotron enriched arrangements accentuated by piano and organ, interweaving synths, bass, dynamic percussion, and melodic guitar. Since 2010, The Man From RavCon (aka, Mike Brown), has been creating adventurous, atmospheric instrumental music featuring Mellotron enriched arrangements accentuated by piano and organ, interweaving synths, bass, dynamic percussion, and melodic guitar. 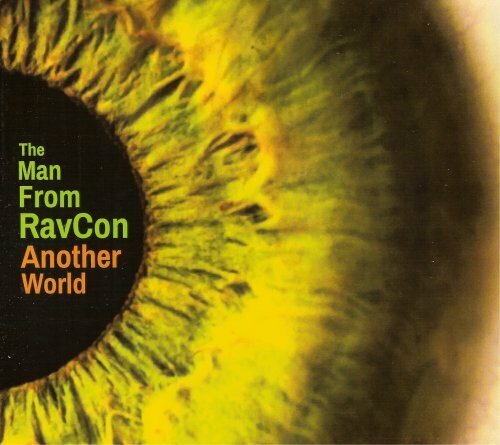 Blending influences of 70's classic FM album rock (Stones, Kraftwerk, Steely Dan, Supertramp) with a melodic prog flavor, The Man From RavCon's ninth release, "Another World," may be considered a somewhat more accessible work than his most recent offerings, but is no less adventurous in scope. With contributions from special guests, guitarist Larry Smith, and flutist Jeff Eacho, "Another World" features a more lighthearted, breezy vibe making it the perfect soundtrack for Summer 2018 and beyond.